Improve efficiency and manage spend by building a route neutral shipping strategy that is based on your freight. 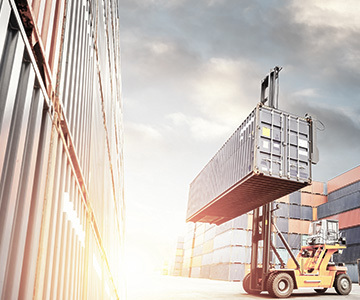 Access intermodal rail container capacity—surge, spot, or committed. Leverage our Class 1 Railroad relationships and private fleet so you're not dependent on specific railroads. Trust dedicated experts from a Top 5 IMC to help analyze your intermodal and rail shipping data for continuous improvements. 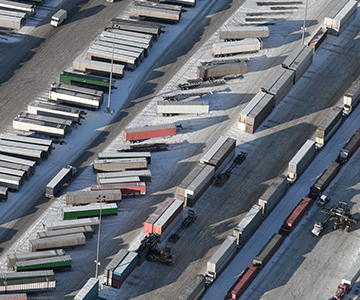 When it comes to capacity, intermodal shipping complements and enhances the services you already rely on. Together, let's make intermodal and rail shipping a strong part of your ongoing shipping strategy. Companies see the most value from intermodal rail service when the supply chain contains these characteristics. Intermodal shipping offers flexibility, reduces carbon footprints, promotes cost savings, and injects capacity into your supply chain. Learn how C.H. Robinson can help your business apply the best transportation options.